Charles Galloway Calhoun was born in Athens, Texas, on August 22nd, 1894, the son of Reverend J. C. Calhoun and wife, Bettie Calhoun. His parents are of the sturdy, upright, and God-fearing stock typical of the men and women who pioneered the paths of civilization in the early days of our state. His father was a Methodist minister who moved from Henry County, Alabama, to Texas when he was twenty-one years of age and accepted his first ministerial appointment as pastor in charge of a circuit of Methodist churches in and near Alto, Texas. His mother, nee Bettie Moore, was a native Texan, having been born at Winona, in Smith County, about twelve miles distant from Tyler. 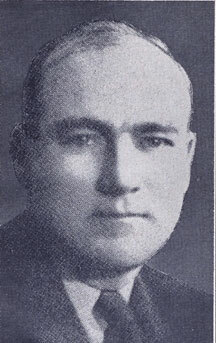 Reverend Calhoun continued to be active in the ministry until a few years prior to his death in April, 1935. His wife still resides in Tyler. Two children were born of their marriage, a daughter five years older than Galloway died at the age of nine years. Galloway Calhoun received the greater part of his secondary education in the public schools of Tyler, from which he graduated in the year 1912. His college education was obtained in the University of Texas and Cumberland University, from which he received the degree of Bachelor of Law in 1915. 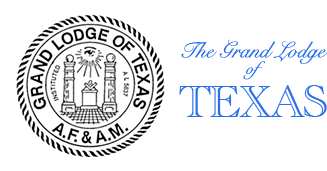 Immediately upon his graduation from Law School he was admitted to the Bar of the Supreme Court of Texas and began the practice of law in Tyler. Shortly thereafter he was appointed County Attorney of Smith County, and from such position he was elevated in 1920 to the position of District Attorney of the Seventh Judicial District comprising the counties of Smith, Wood, and Upshur. He was elected to this office for three terms, and during his tenure he established an enviable record as one of the most vigorous and successful prosecuting attorneys who has ever served the people of Texas. In 1927 Mr. Calhoun was appointed Assistant Attorney General of Texas by Hon. Claude Pollard, and in 1928 he was designated as First Assistant Attorney General of Texas, which position he held until March 1st, 1930, when he resigned to re-enter the private practice of law at Tyler with Tom B. Ramey and Bryan Marsh under the firm name of Ramey, Calhoun & Marsh. This association has continued to the present time. While he was a member of the staff of the Attorney General’s Department he was given many important assignments and on several occasions he was sent to various sections of the state to represent the State as special prosecutor in unusually difficult situations. In the private practice of law Mr. Calhoun has participated in many important trials, and his reputation as a successful trial lawyer and jury advocate has become widespread. Although the demands of his profession upon his time are many and constant, he has evidenced a willingness to devote his best efforts to many other worthwhile activities, religious, civic, political, and fraternal. Being a devout member of the Methodist Church, he has taken a most active part in all of its programs. For more than twenty years he has been a member of the Board of Stewards of his church, and at numerous Annual Conferences be has represented his church as delegate. In 1934 he was delegate from his church conference to the General Conference of the Methodist Episcopal Church South, held at Jackson, Mississippi. Perhaps his outstanding service to his church has been in the capacity of teacher of the Friendly Class of Marvin Methodist Church of Tyler, which is recognized as one of the largest men’s Sunday School classes in Texas Methodism. His record as a good citizen is worthy of emulation. He has ever been found to have been willing and ready to contribute his time, talents, and means to all commendable undertakings for the upbuilding of his city, state, and nation. He is a member of the Rotary Club and has served as president of such organization in Tyler. As a member of the Federal Centennial Advisory Committee he contributed to the success of the Texas Centennial celebrations in 1936. During 1935 he was designated and acted as Director of the Federal Housing Administration for the Northeastern District of Texas, and in such capacity directed the establishment of the program of such agency in a large portion of the state. Mr. Calhoun’s political affiliations have ever been with the Democratic party. He has served his party in various capacities, and on three separate occasions he was selected as a delegate from Texas to the Democratic National Convention. Accordingly, he attended the Conventions which were held in New York in 1924, in Chicago in 1932, and in Philadelphia in 1936. Mr. Calhoun’s service and achievements in Masonry are unusually notable. He is a member of St. John’s Lodge No. 53 of Tyler, wherein he was made a Master Mason on August 18, 1916. He became Worshipful Master of such Lodge in 1922. He is a member of Tyler Chapter No. 24, Royal Arch Masons; Ascension Commandery No. 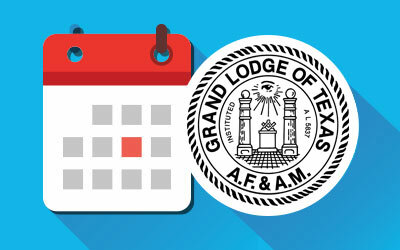 25, Knights Templar; Dallas Consistory of Scottish Rite Freemasonry, and Karem Temple, A. A. O. N. M. S. He has served as Eminent Commander of his Commandery of Knights Templar, and as Potentate of Karem Temple. He has been President of the Texas Shrine Council, and has been the official representative of his Temple to the Imperial Council of the Shrine each year from 1926 to 1937, inclusive. 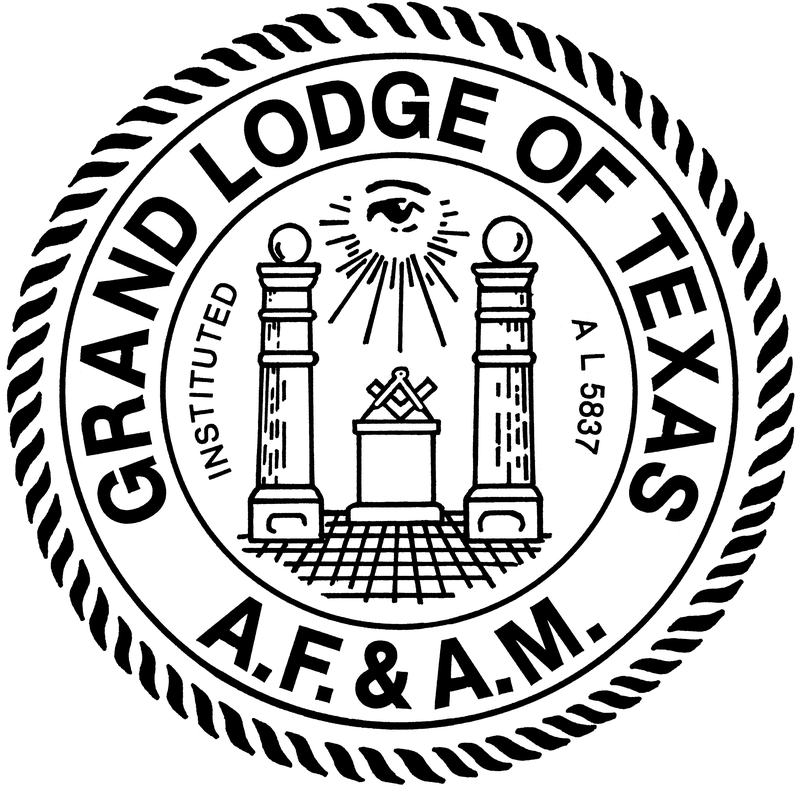 In 1931 he was appointed as Grand Orator of the Grand Lodge of Texas, and in 1933 he was elected Grand Junior Warden. Thereafter he served successively as Grand Senior Warden and Deputy Grand Master, becoming Grand Master of the Grand Lodge of Texas in December, 1936. Many other noteworthy Masonic distinctions have been conferred upon Brother Calhoun, among them being membership in the Knights Commander of the Court of Honor, the Order of the Red Cross of Constantine, and the recipient of the Henry Price Medal from the Grand Lodge of Massachusetts, in honor of the founder of Masonry in the United States. During the World War Mr. Calhoun served his country in organizing and leading the band of the One Hundred Forty-fourth Infantry, Thirty-sixth Division. On June 25th, 1922, Mr. Calhoun married Miss Dorothy Callaway of Mineola, Texas. They have two children, a daughter, Elizabeth, age fourteen, and a son, Charles Galloway, Jr., age six. Their lovely home is situated in a beautiful woodland setting about two miles south of Tyler.